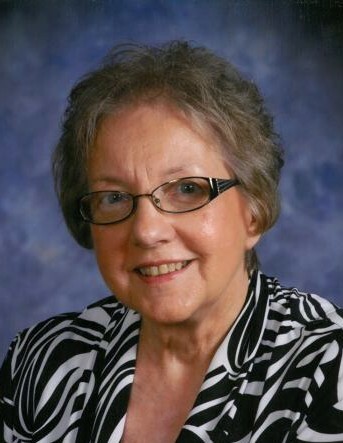 Helen Bogan, of Montevideo, passed away Tuesday, February 12, 2019 at the St. Cloud Hospital at the age of 82. Mass of Christian Burial will be held Saturday, February 16, 2019 at 10:00 AM at St. Joseph Catholic Church in Montevideo. Father Paul Timmerman will officiate, and burial will be in the church cemetery. Helen Rose Streifel was born December 26, 1936 in Minnewaukan, ND, the daughter of Nicholas and Catherine (Groosman) Streifel. She was baptized and confirmed in the Catholic Church. She attended school in Minnewaukan. Helen was united in marriage with Loren Edward Bogan February 13, 1957 in Milbank, SD. They made their first home in Minneapolis before moving back to Montevideo in 1977. Helen was a wonderful homemaker who took care of her children, grandchildren, and even great grandchildren. Helen was Loren’s travel companion for work and pleasure. She was known as everyone’s ‘Go-To Grandma’. She particularly enjoyed spending time with family, decorating for every holiday, especially Christmas, cooking and baking, playing cards, spending time at the casino, relaxing at the family cabin, and visiting around the kitchen table over a cup of coffee. She is survived by her two children: Brenda Wellnitz and her husband Fred of Richville, MN and Gerald Bogan and his wife Karen of Nevis, MN; seven grandchildren: Amy Kirking (Ross Osterfeld), Amanda Wellnitz (Mitchell Houle), Derek Bogan (Holly Avery), Samantha (Mark) Haugerud, Andrea (Scott) Feldhake, Brandon Olson (Amber Anderson), and Casandra Olson (Mike Tuma); fourteen great-grandchildren: Alexandra (Kyle), Thomas, Christian, Lane, Haven, Carter, Lauryn, Kylee, Bryce, Eliana, Cole, Marilyn, Christian, and Riley; brothers, Paul Streifel and Harold Streifel; and sisters, Carolyn (Byron) Butters and Mavis (Dale) Halverson. Preceding her in death were her husband, Loren; her parents; a brother, George Streifel; and a sister, Leona Sogge. Helen always had a bright smile everywhere she went. She always had an ear for listening, a shoulder to lean on, and a contagious laugh. Family was always #1 for her. She had a never-ending spirit that will be carried on by all who loved her. A heart that’s broke is a heart that’s been loved, a life that we love is a life that’s been lived.